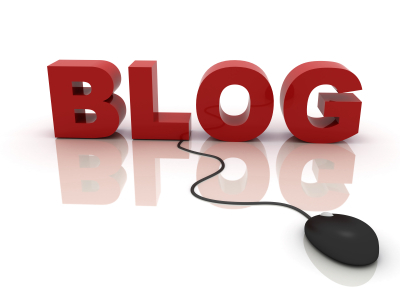 Teaching With Blogs: Blog Teaching - It's so Easy and Powerful! Blog Teaching - It's so Easy and Powerful! Welcome to - yet another - blog that I created to talk about something I'm excited about. I've been using blogs for teaching for a rather short while, but it's really taken off. I was a skeptic when I first heard about blogging. It seemed like a blog would just amount to extra text for students to ignore or an inward-focused boutique spot for me to post the same ideas I had in lecture. Teacher supervising a student (ca. 1941). With budget cuts and improvements in technology, I started to think about what I was doing in the classroom. As a student, information was delivered to me through lectures and - if I was really desperate - by reading the textbook. Most educators teach in the manner in which they learned, and I was no different. 14 years ago, when I started teaching, I used overheads with a great new technology: colour ink on special transparencies. These were expensive but students seemed to like them. I'd annotate them with my pen during class and - like the Pied Piper marching in front of a line of youth - lead a parade to the Reserve Desk in our library. Students would photocopy the transparencies, and *bang* they now understood everything (or so they thought). Lectures were just a method of information delivery, particularly of ideas that came straight from the textbook. It was redundant. And if I was essentially just reading the text to the students, how could I expect them to actually do the reading? Does it matter if the students actually do the reading? Yes - immensely important! My colleagues and I note that students in third- and fourth year are often not prepared for the primary source literature we rely on increasingly near the end of their undergraduate experience. In their first- and second year, students often tell me they "can't learn from the text". This may well be so! Without practice and effort, literacy skills do not improve. Students should be encouraged to read their introductory textbooks, which are often much more simply written than more advanced work, particularly in the sciences. But if I was going to just lecture in the classroom, why should they read? I decided to reduce didactic teaching in the class as much as possible, forcing students to acquire the information on their own. Students who are prepared tend to contribute to the class more. If the class isn't used for lectures, what can you do with it? Answering questions is a great activity. If students are forced to engage the textbook, they will naturally form questions. Another thing I want is for students to "do science" rather than just memorize facts. Using worksheets or other activities can get students to apply the information they acquired in their readings. This is important: students need to feel some gentle pressure to prepare. Unless you connect marks to the reading, it simply won't get done. This is not a failing on the part of students: bright, thoughtful people are smart enough to look for efficiencies. With a busy schedule, students would be stupid to not try to prioritize things to free up as much time as possible. They don't necessarily relish mandatory readings, but they recognize that it's important. More than a few have told me that they appreciated having the benefits of preparation linked to classroom activities. The activities often mirror the blog entries. Theoretically, students could just do the blog just before the class time and regurgitate the information on the assessment. However, this is not what I've observed. I model what they should be doing, then give a similar activity that I take in during the class, mark, and return the next time we meet. This gives the students opportunity to engage with the material, ask questions as they work on the exercise, and see how well they know it through rapid feedback. During the modelling of the answers in the blog, I use terminology they would have picked up in their readings and frequently ask questions about "What am I looking for?" "What do I need to know now?" or "What is the next step?". In class, I do the same. I try to be careful to make students accountable for giving me the answer: if nobody steps up, I ask them to discuss with their neighbours what the answer would be and refuse to continue with the work until someone at least attempts an answer. This changes the classroom dynamic substantially. How Can Blogging Be Easy? In subsequent entries in this blog, I'll share the tools I use to create the online learning opportunities for my students. I use a great deal of technology because I enjoy it and I believe it offers new opportunities in the classroom. However, I think an educator who found just a few tools he or she is comfortable with could very effectively change the classroom into an active learning environment. I have broken this Blog into four tabs: this tab is just the introductory "landing site". At the top of this entry you can see a link for "PC and Mac", "PC", and "Mac". I'll share the tools I use in the appropriate sections above. Details about this blog hosting site (blogger.com/blogspot.com) are in the "PC and Mac" section.